Ever since I joined the Vanderbilt community in 1987, the residence hall bearing the inscription Confederate Memorial Hall has been a symbol of exclusion, and a divisive contradiction of our hopes and dreams of being a truly great and inclusive university. Many generations of students, faculty, and staff have struggled with, argued about, and debated with vigor this hall. We have asked time and again how can we have this symbol in the sky—a pediment is intended to draw a gaze upward—as part of our aspirational goals. Sadly, as we sought to progress in many areas, many still averted their gaze and did so to try to find space where they would be welcomed and included. Multiple efforts to rename the hall and remove the pediment in the past were blunted. We have heard from thousands of voices on and off our campus over the decades, some now being alumni, while others who worked here are now retired or passed with the ages. Our current community has engaged deeply over the past several years. There has not been unanimity on these matters. How could there be? In so many ways, the debate and the pediment reach into some of the most divisive and painful parts of our history as a nation and as a university. Yet our debates and discussions have consistently returned over these many years to the same core question: can we continue to strive for that diverse and inclusive community where we educate the leaders that our communities, nation, and world so desperately need, with this hall as so created? My view, like that of so many in the past, and so many in our present, is that we cannot. 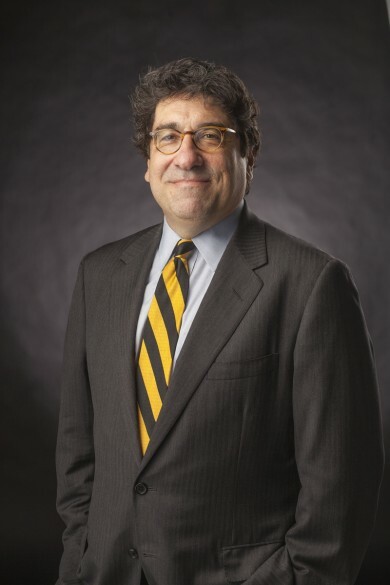 The time has come to complete this work at Vanderbilt, to take another step toward our aspiration of welcoming and including all with important contributions to make in our community. Earlier this year, at the urging of many, I asked our Board of Trust, which has final responsibility over the naming of spaces of significance, to consider this matter. They have decided that it is now time to move our university forward again, to remove the pediment, and in every way to recognize the building as Memorial Hall. This action has been made possible because of generous donations from anonymous supporters who wish no credit, and only to do what is right and just. We are grateful for their support. In removing this pediment, we are not seeking to rewrite history or to avoid the questions that should be asked of Vanderbilt and of our nation. We are realizing the truth—that we have the privilege every day to teach, to learn, and, indeed, to make history. In the hope that our action today will become a lasting moment of learning, we will establish a major annual conference on race, reconciliation, and reunion. Our distinguished colleague, Reverend James M. Lawson Professor Dennis Dickerson, will be working with our community to plan this first conference. 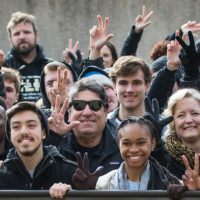 Let us all seek to go forward together in our shared commitments to the distinctive role Vanderbilt can play to make our world better, and let us continue to strive every day to re-invest ourselves in our founding mission of union and healing. Doing so together will ensure that our aspirations remain always within our reach.